Unaisi Vuniwaqa has be­come the first Fijian wom­an to get the top job in a United Nations peacekeeping mis­sion. Mrs Vuniwaqa, the Assistant Commissioner of Police, has been appointed the new Police Commis­sioner of the United Nations Mis­sion in South Sudan (UNMISS). She takes over from Rwanda’s Bruce Munyambo. ACP Vuniwaqa held the position of Deputy Police Commissioner of UNMISS from March last year un­til her recent appointment. Commissioner of Police Briga­dier-General Sitiveni Qiliho said it was great news for a small country like Fiji in particular for a small Police Force. 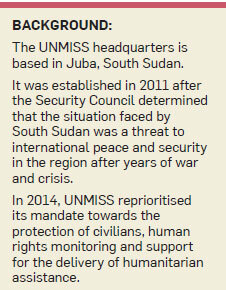 “We are expanding our footprint into the international area of peacekeeping. It gives encourage­ment to the members of the Fiji Police Force that you can go fur­ther than the work that is here in Fiji. “I will support any officer who applies for those senior posts and I encourage them to apply and I will continue to support them,” Briga­dier-General Qiliho said. Previously the highest appoint­ment made with regards to an of­ficer from the Fiji Police Force was for the current Chief Administra­tion Officer (CAO) and Assistant Commissioner of Police (ACP) Itendra Nair, who was appointed UNMISS Chief of Staff from 2013 to 2015. Brigadier-General Qiliho said ACP Vuniwaqa’s appointment would open up opportunities for Fijian officers to go into overseas peacekeeping missions. 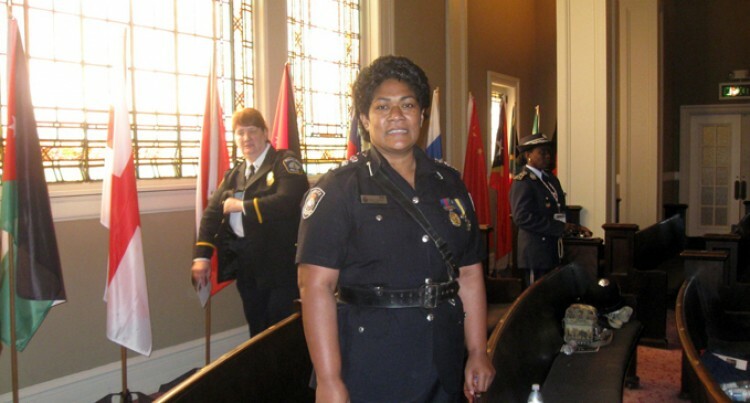 While the appointment is initial­ly for 12 months, the Police chief is ready to support ACP Vuniwaqa to stay longer if the UN requires her to stay. Recently, as part of UN efforts, more women now hold command roles in peacekeeping operations around the world. The only other Fijian who held a similar top post was President, Major General (Retired) Jioji Kon­rote. He was the Force Command­er of the United Nations Interim Force in Lebanon (UNIFIL) from February 1997 to September 1999. Major-General Konrote was then appointed United Nations Assis­tant Secretary-General. Police contribution as of March 31, 2018 at the UNMISS stand at 1561. The total number of deployed personnel including contingent troops, police, civilians and UN volunteers as of last month stand at 17, 965.